What does Charlie McCandlewick the nightsweep do with the bogles and beasties he sweeps up from under children's beds? Meet Charlie McCandlewick, who sweeps the bogle creatures of the night out from under your bed, on your stairs and away from your windows. But what does Charlie do with the beasties next? This brilliant story from author and illustrator Tim Archbold will become a firm favourite with children and parents alike. Narrated in a hilarious, quirky style, with wonderfully illustrated beasties and bogles waiting to jump off each page, it will captivate readers until the final surprise twist. 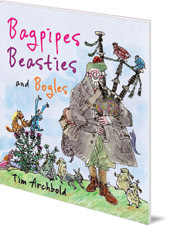 Tim Archbold has illustrated over fifty books for children, often in his favourite pen and ink style. He was born in Northumberland and studied at Newcastle and Exeter Colleges of Art and Design. He now lives in Kelso in the Scottish Borders with his wife and two children. 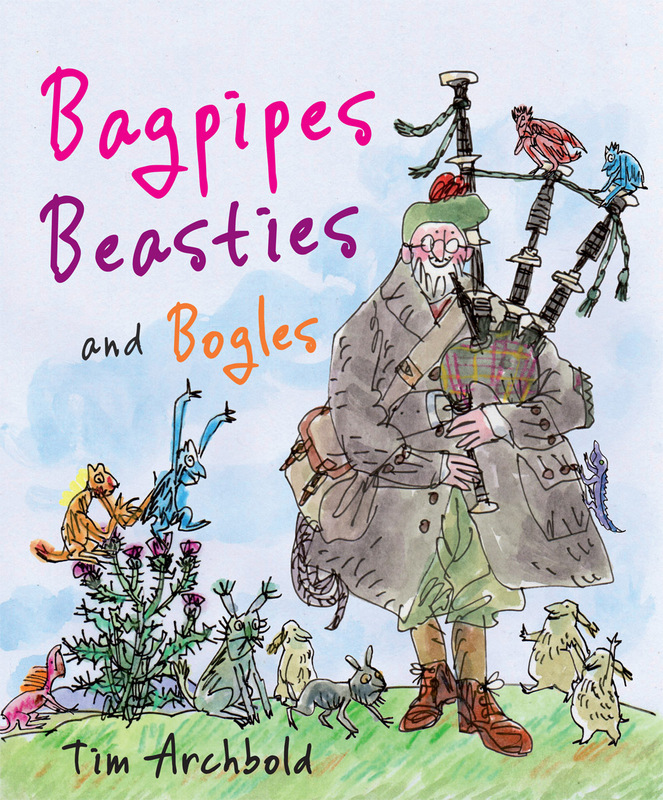 Bagpipes, Beasties and Bogles is in Floris Books' range of Picture Kelpie Scottish children's picture books. Parents of young children might also enjoy the dedicated Picture Kelpies website. Download and print out games, colouring and jokes for your children based on Picture Kelpie favourites, and find out more about these quality Scottish picture books to enjoy together.